Do You Suffer With Your Dentures? Do You Have Sore Gums And Ulcers? Would You Like To Eat What You Like Again? If your answer to the above questions is ‘yes’ then Start Smiling can help. If you are ready to start going to restaurants and pubs with your family and friends, and if you’re ready to start feeling good about yourself again, then keep reading. Many people cope well with dentures, but just as many people find them difficult to tolerate. They make them feel embarrassed and it can often be a struggle to eat. The good news is there are several options open to you depending on if you are missing one or all of your teeth. 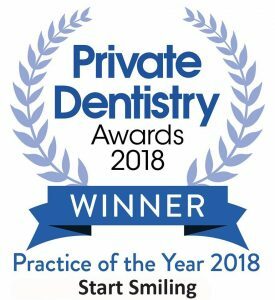 Whatever your desires to replace missing teeth, here at Start Smiling we know how important it is to replace them both for your health and appearance. Today, dentures can look very realistic and are comfortable to wear. They can be full or partial dentures and made from acrylic or supported by a strong metal framework that ‘clicks into place’. If dentures still seem a bit daunting to you, implants are also a fantastic way to replace missing teeth. Many people still conjure up images of hulking, ugly sets of false teeth when they think of dentures. However, with advances in technology and science a whole range of new dentures are now available and they look more realistic than ever before. Modern dentures are also a lot more effective in terms of function and the newest models will give you all the functionality of original teeth. Understandably people worry about their diet and speech when they consider having dentures, but this is no longer a cause for concern. New dentures, especially those supported by dental implants, work in exactly the same way as original teeth and there is no need to worry about having to give up your favourite foods or developing speech problems. Dentures are also much lighter and more life-like than they used to be, meaning that you can enjoy comfort and style. Dentures are a great way to replace either a small or large number of teeth, but if you’re worried about wearing dentures then there are several other options available to you at Start Smiling.